Hydro test pumps consist of various components such as damper, pressure relief valve, ball valves, pressure gauge, non return valve and back pressure valve. These components are calculated for safety precautions according to the discharge pressure of the dosing pump. 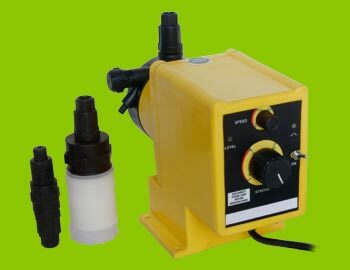 These hydro test pumps can obtain delivery pressures up to 400Kg/sq.cm and flow rates up to 10000lts/hr. 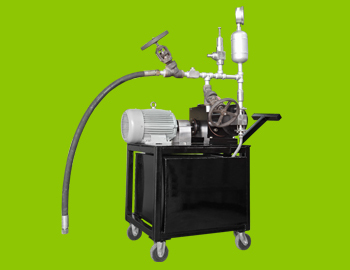 Our hydro test pumps are extensively used for hydro testing purposes of cylinders, pipes and boiler tubes. Furthermore, it is equipped with high performance non return valve. In order to keep water free from any kind of minerals and to maintain a high quality of water, Demineralised Water Plat Pump is broadly appreciated among our customers. The transferring of demineralized water is done with the help of this available range of pump. The whole process is based on the principle of degasification, ion exchange and polishing of water by removing ions. 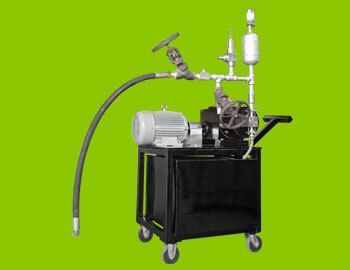 The pump is fabricated with the assistance of latest technology, upgraded machines and high end technology. 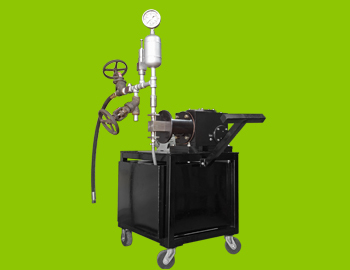 Hydrostatic Test Pump is known to provide noise free operation while dosing two chemicals. These are straightened with damper, pressure gauge, pressure relief valve, ball valves, non return valve and back pressure valve. For safety precautions, the entire components of this pump are calculated as per the discharge pressure of the dosing pump. Precisely engineered our hydrostatic test dosing pumps can easily obtain flow rates up to 10000 lts/hr & delivery pressures up to 400 Kg/cm². These find their wide applications in hydraulic testing of boilers, pressure vessels, party subject to hydraulic pressure, casting, C.I. mains and in gas cylinders. Sturdy balanced design, easy for maintenance. Smooth and consistent flow assured ±90% pulsations eradicated. For Hydostatic Test Of Equipement, Valves Boiler Drum. Test Pump Avialable At Wide Range Of Pressure From 15 Kg/Cm2 To 275 Kg/Cm2.